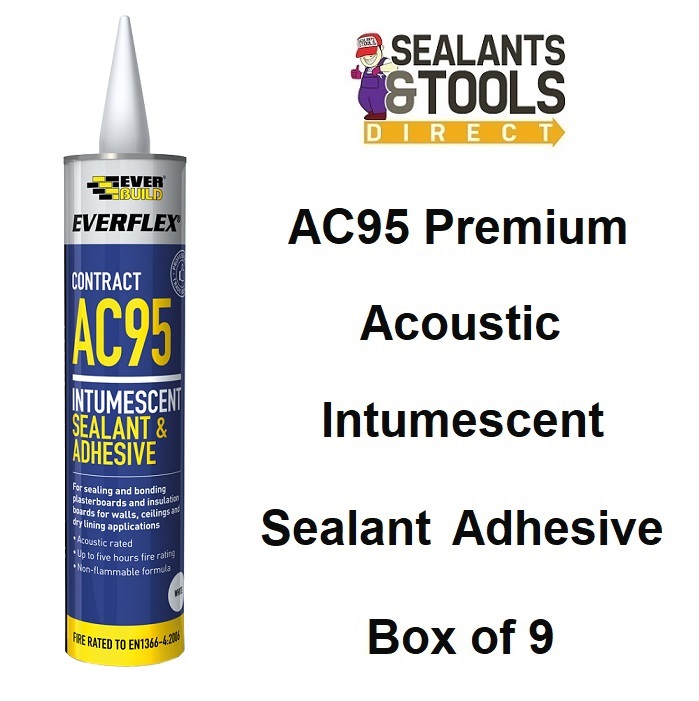 Everbuild AC95 forms an acoustic intumescent barrier by sealing gaps between plasterboard walls floors ceilings and dry lining applications. Can be used as an adhesive to bond plasterboard to plasterboard and to bond plasterboard to wood and metal studding also direct to block work. "Please note this product needs a Jumbo 900ml Application Gun." Adheres to just about all building substrates.